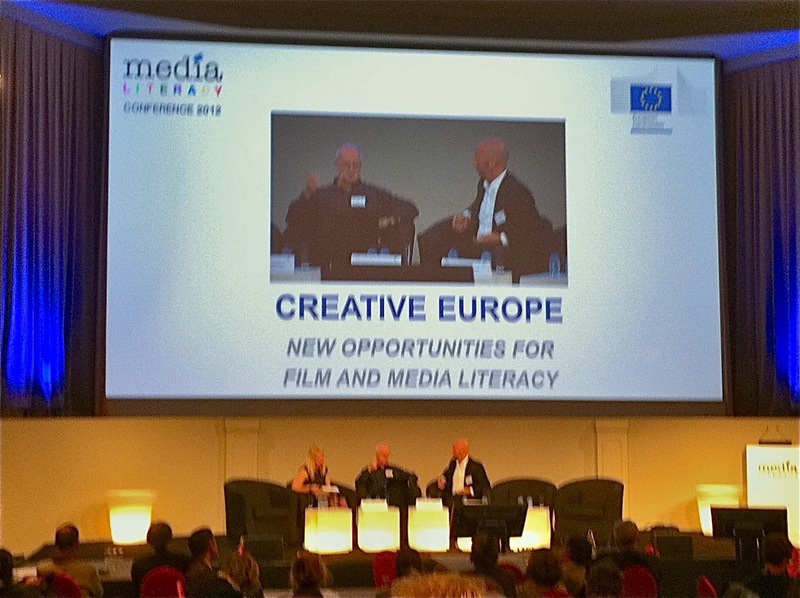 Creative Europe: New Opportunities for Film and Media Literacy | D.A.R.E. The EU Commission – DG Education and Culture, Media and Media Literacy Unit – organised the EU Conference CREATIVE EUROPE – NEW OPPORTUNITIES FOR FILM AND MEDIA LITERACY in Brussels on 16th November 2012. The Conference presented an overview of the Commission’s proposal for the Creative Europe Programme and the state of play of the EU media literacy policy. In two different workshops the Commission discussed with experts its plans for new funding opportunities for media and film literacy projects on a European level. The workshops focused on “Good practices in Europe – how can film literacy initiatives travel?” and “European Networks for Film and Media Literacy – how can we create a better environment for European cooperation?”. The conference was attended by members of the UK team who worked on the study of Film Literacy in Europe conducted by the BFI, the UCL Institute of Education and Film Education: Ian Wall, Michelle Cannon, Caren Willig and Andrew Burn. Key elements of the report were presented by Andrew Burn, including evidence of notable film education projects across Europe, its marginalisation on formal school curricula, and proposals for strengthening it. The report seeks to preserve the distinctiveness of film education in Europe while recognising its close affinities with media education.